If you use the monitor, you have to control the temperature of the processor to give it a healthy and long life. To maintain the laptop temperature is an important thing, as if it can’t stay cool then it can ruin many things in the computer. The major disadvantage will be the low processing. Also, it can lead the computer to the hanging, auto shut down or auto restart. It is preferable to keep an eye on the processor temperature at the certain period of time. Currently, most of the people are using Windows 10, and from the last few months, it’s been accused of the such issues. So, this write-up is based on the tips and tricks of how to check laptop temperature of Windows 10! You will get the information regarding some apps which can help you to cool down your laptop CPU temperature. How To Check The Maximum Temperature of Processor? 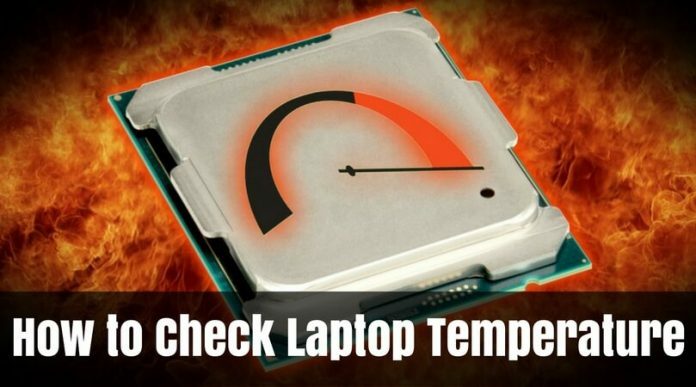 Before we go ahead, you must understand when to take actions regarding the laptop temperature. As you know, it is difficult to differentiate the preferable or non-preferable temperature. If you want to know about the maximum temperature of your CPU, you can use the internet and search ‘CPU benchmark’ to find out the highest temperature about the particular processor among the charts. You may get the information like ‘T junction’ or ‘Maximum Operating Temperature,’ which can solve your query. 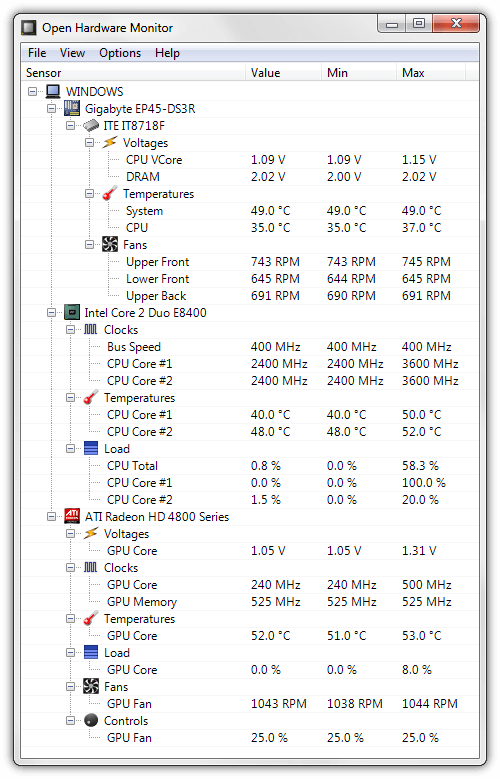 If the laptop CPU temperature is lower than the given value for the most of the time, or all the time, your processor is doing good. But if not, you must take some actions. 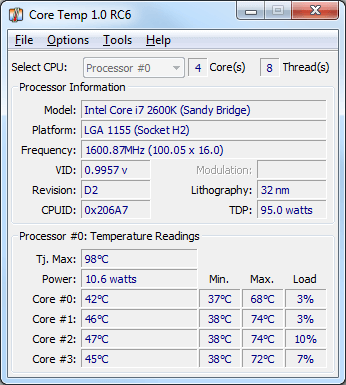 Now, let’s understand how you can monitor the processor temperature! Here we go…! 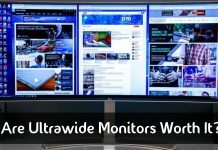 As we have discussed in the beginning, overheating of a computer can become an annoying issue for you, especially when you have a dual monitor. Moreover, if you are a diehard fan of online gaming, then checking the heat of your laptop is a must-to-do task for you. So, here we give a step-by-step guide to make your process easier. Step 1: Go to the Menu, and choose the ‘Restart’ option and reboot your computer. Step 2: As soon as you see the screen after restarting your laptop, press F2, F10 or Delete key. These are the BIOS keys. You have to press the expected key in time. If you missed that time, the window would start regularly, and you have to try again. Note – Such keys may vary as per the hardware creator. As per your laptop’s requirement, the correct key will be displayed on the screen. Step 3: Now, wait for some time so that the BIOS screen can come up. Step 4: As soon as you find the ‘H/W Monitor’ screen (i.e., the hardware monitor screen), you can see some data on PC health status. Step 5: Check the CPU temperature. Here, kindly notice that it may vary depending on the processor. As per our research, if the heat is less than or near to the 50 degrees Celsius, it is normal. You can also check the system temperature, CPU fan speed, motherboard temperature, and the graphics card temperature, etc. by using this same method. Now, let’s explore some other options. 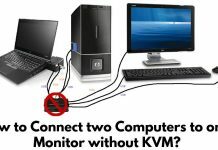 We gave you the information regarding BIOS and open hardware monitor programs. But you know what? There are also some apps which can do the same thing in the best possible manner. Let’s take a brief review of the same. Here is the list of four best apps and hardware programs. You just need to install a program and run it on your PC. Isn’t it simple? Speed Fan is known for monitoring fan speed and temperatures. It gives manual control over the RPM. It is a two-in-one app, which can also check the voltage. It also notifies the chart values at the time of troubleshooting. It supports windows 7, 8, Vista, XP, and windows 10. It is mainly to provide details about the graphics/video card. It shows GPU temperature and along with that can show core clock, memory clock, fan speed, load, and memory usage. It also creates a backup of the BIOS. It supports many versions of NVIDIA, ATI, Intel, and some versions of Windows like XP, Vista, 7, 8, 10, etc. Core Temp can become all time solution for you, because it is the compact, fast, accurate, and flexible program to check CPU temperature and give crucial information about your system. It supports Intel and AMD, as well as some Windows versions. It is a free to open source software which can help you to watch out the heating issues of your laptop, fan speeds, voltages, as well as clock speeds. It supports hardware monitoring chips and reduce overheating. This program is on the top of our list. You should definitely try it. So that’s all for this article. 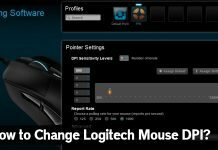 We hope that you are satisfied enough after reading this article and getting tips and tricks as well as some information regarding the apps to check the temperature of a Windows 10 laptop. CPU is the brain of your computer, so it has to be fast and accurate. Otherwise, the whole machine may collapse internally. You have to keep your computer cool and save it from overheating for better performance. Use this given information and keep rocking! Next articleIPS Vs LED: What is the Difference?